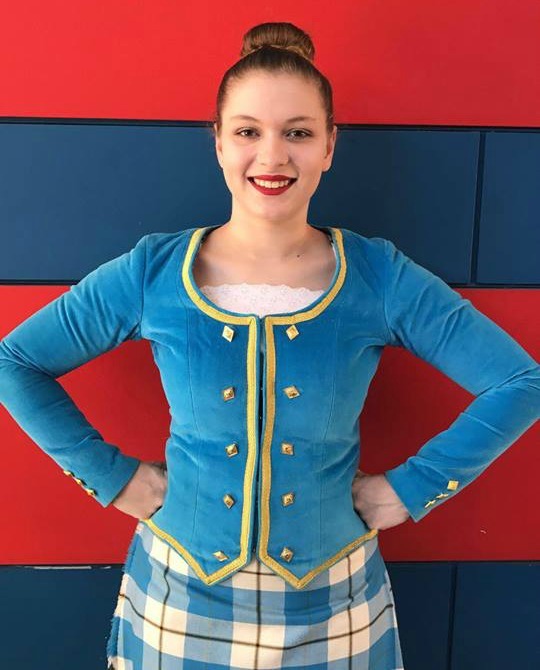 Melanie is a class leader for the juniors and intermediate classes, a dance teacher, and part of the training hub – working to help students before competitions as well as with new dances – and she is a dancer in Ardlair working towards the championship level. Melanie started dancing at the age of seven going through all of the levels and then started to compete in championships at age 10. She worked her way into the top three of the Championship until 13 when she changed dancing styles to ballet, jazz, contemporary, and hip-hop. Melanie was a ballet teacher for 1 1/2 years before deciding to go back to Highland dancing at 19, in which she then worked towards championships and her teaching qualification. Melanie has completed and passed her Comprehensive Level 2 Highland Teaching Exam and is currently working towards her Certificate 4 in Dance teaching. Outside of dancing, Melanie is currently working as an assistant manager, and she has also had her own cake business. Melanie admires the passion and drive that Miss Lisa has and how she shows that to her students, giving them confidence in themselves. She loves that Ardlair is about the dancing, having fun and being your best self – not just the results. Melanie wants to share her passion for dancing by helping make Ardlair a positive place for everyone, and loves being able to help children follow their own dreams and to have fun.